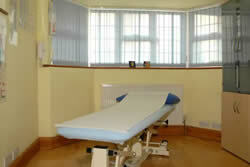 Please contact the practice using the telephone number on this page or by using my contact form. You may pay by cash, cheque, debit card (except American Express). Insured patients usually have their accounts paid directly by their insurers. Owing to increases in many costs I am sorry to have to increase slightly my fees as from the 1st April 2019. BUPA charges will also increase slightly as from the 18th May 2019. I continue to provide tubigrip, band exercisers and strappings used in treatment inclusively within the treatment cost. Any splints etc. which are ordered will be supplied at cost (plus postage and VAT).